The PASSION FOR TECHNOLOGY AND COMMITMENT TO QUALITY. Since 1947, Schumacher Electric Corporation has been leading change and driving performance to exceed its customers’ expectations. Engineered patent-pending technologies and award-winning marketing makes Schumacher the brand of choice. Schumacher’s legacy is its commitment to quality and exceptional customer service. Schumacher brings experience, innovation and excellence to the next generation of battery maintenance. 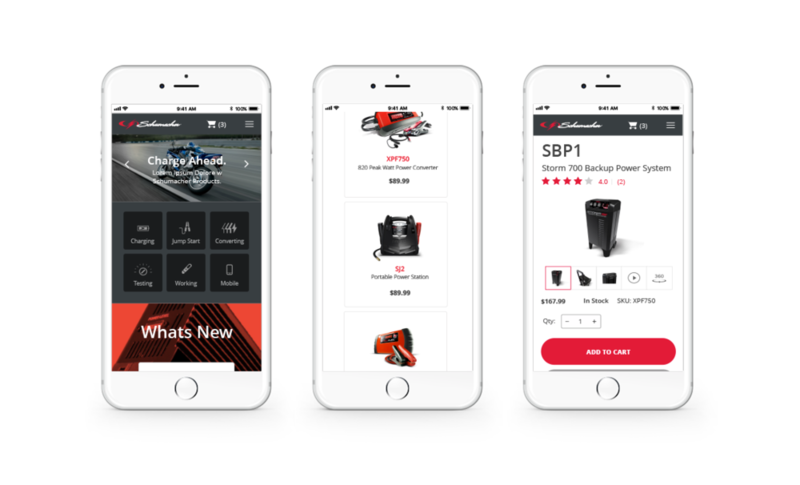 Schumacher approached us in 2017 to help them develop a fully self service e-commerce site that would enable their customers to purchase direct as well as from all of their major reseller partners. In a 6 months end to end development project, we re-architected the entire site, conducted usability studies and surveys, developed the end to end customer experience and extended their existing brand to market to a younger, quality focused audience. We helped Schumacher extend their brand and engagement strategy to email and online marketing campaigns and developed a set of sales tools including a sales portal for their sales teams. We developed this fully adaptive Ecommerce site on the Drupal open source e-commerce platform.